I've had the same dining room table for 30 years. and built me a pine 'Shaker style' 7 foot by 4 foot dining table... and two long benches. It was my Christmas present that year, and I loved it. continue reading to see the 'before and after' transformation! This table has been in every single home I have lived in since then. and served as the perch for many a family photo sessions. and I am delighted to have it out of storage and back in the place I live. I look at it every day and happy memories fill my head and heart. and now another set of turned maple legs. so I bought two new sawhorses at Lowes and sat the table top on them. Not pretty, really, but functional! TOP TIP: use flat doors on sawhorses to create extra tables for the holidays! until we finally found the linen-upholstered button-back chairs and barstools we really wanted. ...and then I found the legs. Only.... they aren't legs. They're stair newel posts! They originally had about 6" more on each end, which was cut off so the height would be correct. I can always change them again later! 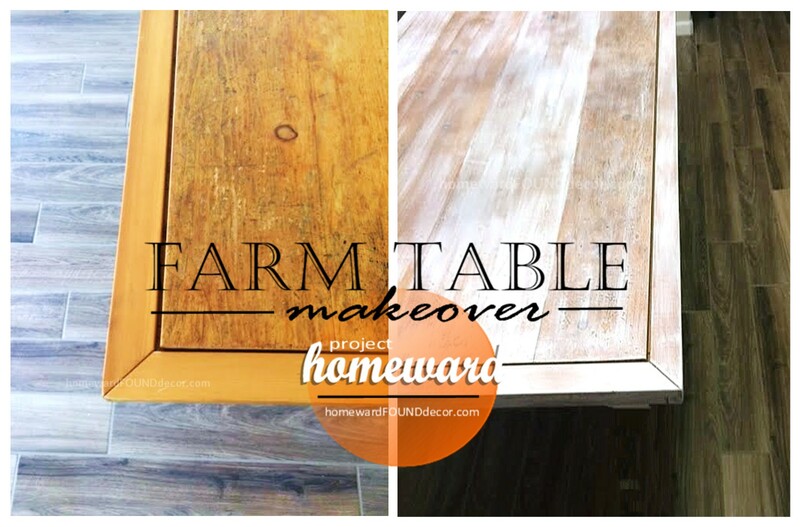 When this table was new, it was a very pale pine with a clear finish. Over the years, it aged. My four children and my oldest grandson all sat at this table. They all colored and drew and wrote with pencils at - and ON - this table. Those marks, those indentations in the soft pine wood, are like a diary of my life. that I could not fathom sanding the old finish off, because they would disappear. but left the history intact! they're not covered over or filled in, and that makes me VERY happy! so I did my best to vary the dry paint application on the planks, giving it a varied aged look. It looks terrific with the medium brown wood-look ceramic tile floor. It looks terrific surrounded by those linen chairs. It looks terrific with the faux rust painted chandelier hanging over it. And in a week, it's gonna' look FABulous with Holiday decor on it! but it's still the table her Dad built. It's still the table we all 'lived' around. It still shows the proof of our history. It's just had a little botox to freshen it up! live with the things you love. that tell your story and share your history. 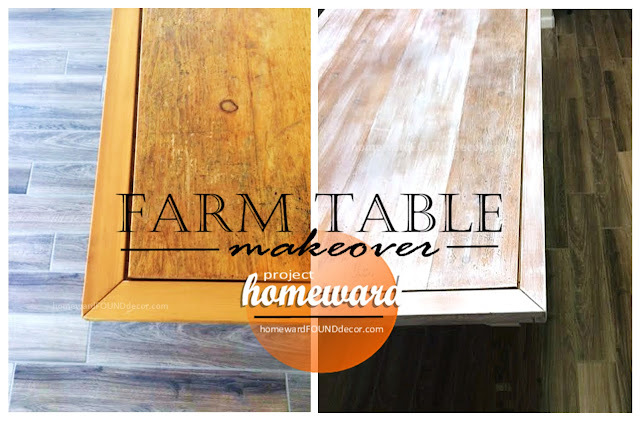 because there's almost always a way you can give an old item a new lease on life. Your table is beautiful, Deb! And I think paint highlights the imperfections you wanted to keep...making them special keepsakes!